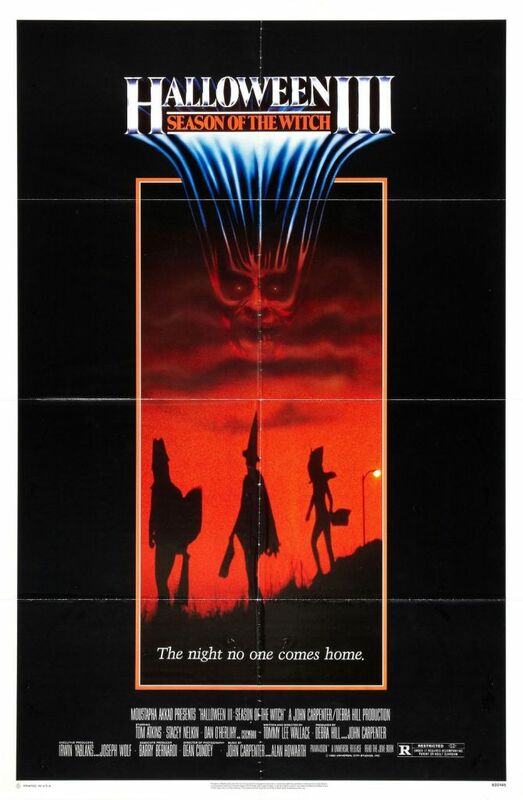 Dion and J. Blake invite you to come listen to a special Halloween edition of Saturday Night Movie Sleepovers where they take on 1982’s Halloween III: Season of the Witch. Why did this sequel tank so badly? Was it Season of the Witch’s own fault? Is it indeed a good film in the Halloween film franchise? Is Tom Akins really leading-man material? (we here at Saturday Sleepovers do admit this last question is a bit moot at this point…) And multi-colored Tootsie Rolls– Really?! All these tantalizing questions will be answered on this all NEW installment of Saturday Night Movie Sleepovers! 1) Dion- ‘Any man is leading man material.’ LOL, although to be fair to Atkins he does manage to deliver some awesome monologues here and in ‘The Fog’- the ‘disappearing coin’ story on the boat is probably my favorite part of that movie. 2) Blake’s shout-out, how could I ignore this? I still regret not arguing my point at that horror-fest. Overall very cool- thanks for giving this film it’s due. It’s still one of my favorite films across any genre. It’s a pity they rarely take chances on weirdness like this anymore.